Show the world what a unique snowflake you are with Lily Verlaine & Jasper McCann. 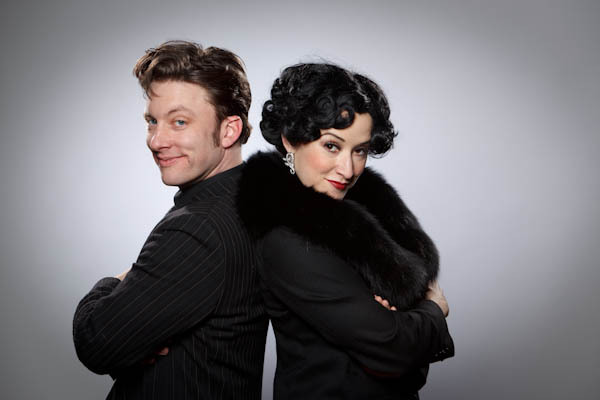 Producers Lily Verlaine & Jasper McCann are seeking dancers and comics of any gender for principal roles in the December 2011 run of Land of the Sweets: The Burlesque Nutcracker at the Triple Door. Performers in other disciplines (acrobatics, aerial, etc.) will gladly be considered on a case-by-case basis. Dance experience is necessary, classical training is preferred. Pointe, jazz and tap experience are major bonuses. Please arrive at audition warm and ready to dance. Dancers will learn segments of choreography. If you would like to showcase additional talent, time will be allotted to you at the end of the audition. There is a changing area/bathroom area available to you if you arrive in street clothes, but please bring clothing that you can MOVE in! Also, character shoes, pointe or tap shoes if you have them and dance sneakers if you are sensitive to hard floors. The floors are a bit slick, so please be advised that rubber soles on your character shoes will be very helpful. As this is a burlesque show, be advised that roles may include striptease. While some burlesque experience is preferred, it is not mandatory and the audition will not require stripping. Please come prepared with a one minute monologue and be prepared for a cold reading and short segment of movement in character shoes or high heels. Comic roles are character-trpe and will involve some physical/pratfall comedy. Rehearsals will begin in mid-October, primarily on Sundays. You will need daytime availability for 2 full-cast dress/tech rehearsals. 12:00 noon-2:30pm August 27th and 6:00-8:30pm August 29th. Imagine yourself as part of this…. ~ by angrytruffle on 08/17/2011.